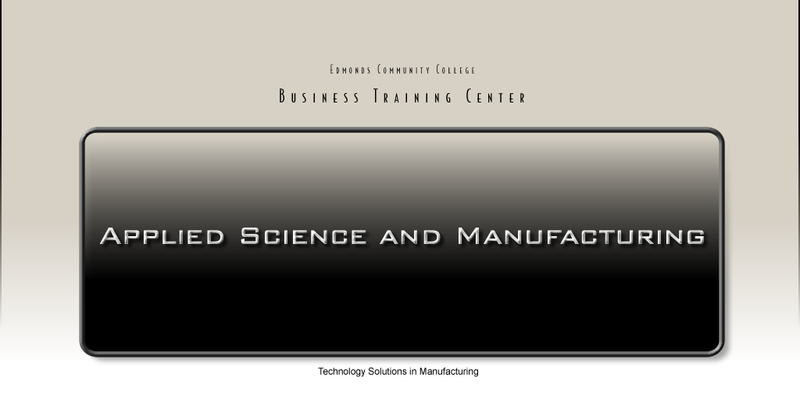 The Business Training Center is a division of Edmonds Community College that's been in the community for over a decade. We are an agile group that can create and deliver a wide range of training wherever there's a need. Throughout the years we've specialized in high-tech networking and security, supervisorial and management, small business, office applications and now applied composite manufacturing training. It's important to point out that composites and other manufacturing training is not at all new to the college. This and other material sciences have been delivered here for years. This series of courses was developed with a new way of thinking that is meant to be a suppliment to the existing courses. What we hope to accomplish is to give real purpose to the technology and open a door to those curious about composites without the mental weight attached to certification or degree programs. Beyond that, for students who do find interest in the technology, we have plenty of literature and faculty available that can show them their different options. This is a composite program, but at it's core it's all about technology. A series of courses that build upon one another, taking students on a journey that begins with methods and tooling that has existed since man first began construction, and progresses into the future that to many might be still called science fiction. To simplify the progression, we've divided the program into three main categories, Applied Composites, CATIA Design, and Technology Solutions. The Applied Composites Series focuses on basic composite fabrication methods and tooling with a strong introduction to machine shop equipment, procedures and safety. This ends at the point where to continue any further would require CAD experience, so we step on to CATIA Design. We have nearly 200 hours of CATIA training that you can start with, without any prerequisites. You do not have to take Applied Composites before registering for CATIA Design. Lastly, rounding out the program, we have Technology Solution for Manufacturing. This signifies the vision of our entire program (Hence the tag line for our home page). This currently covers CNC milling, Rapid Prototyping, 3d Scanning and mold making. As with all technology, this section will grow as new software and equipment are developed. We continue to keep in contact with several local and national suppliers and colleges and will bring any new materials and processes to the classroom as soon as we can. During each course we will fold in serveral other important topics that don't necessarily warrant their own course as of yet. Product Lifecycle Management (PLM), process planning, renewable resources, recycling, and destructive testing are some of the ideas that we will include. Another value we hold is that people will learn more if they can apply it to real world situations so we will do our best to continue to build real world products in class, that can be designed for purpose, tested, and in some cases repaired. One final comment. In the developing the composite portion of the program, all topics and material have been based on methods taught from several excellent composite manufacturing textbooks as well as industry leaders. We feel the courses are fun and entertaining for the students, but the learning they gain is current and standardized. Damian has been with the college since 1999 working as head of IT for the Business Training Center (BTC) Division as well as Technical Instructor for several of our computer science courses. He is certified in every area he teaches including CCNA, CATIA, CWNA, CVOICE, QOS, Comptia A+ and Network+. His passion for learning and development shows strongly in his style and genuine dedication to his students. Through the years where many other institutions have strived for larger numbers, Damian has intentionally kept his classes smaller to assure students get the help and equipment they need. Each course he teaches at the BTC has been carefully tailored to fit the needs of the students and to help them achieve greater success in their field. This is especially true with his Cisco and CATIA courses. All topics have been incorporated into step by step labs that reinforce learning and retention through hands-on training. His current list of courses varies but through the years he has developed custom curriculum for several Cisco courses including CCNA, CVOICE, and QoS, CATIA Design, PC repair, CompTIA Network+ and A+, Wireless and web design. 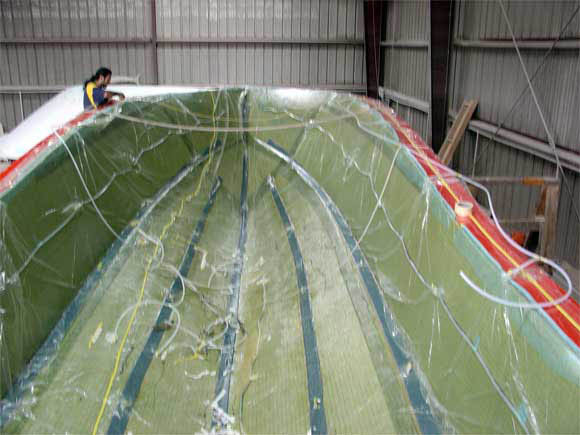 The latest development from Damian, beginning in late 2008 and 2009, is a complete series of courses in Composite Manufacturing. This is reflected in the look and content of the new website. His intent is to bring technology-based manufacturing methods to the community in an exciting and functional way by integrating textbook concepts and principles into the manufacturing of real life products. Each course will find students creating products from start to finish, using every shop tool necessary, implementing PLM practices, discussing simple engineering, and of course the use of the composite materials themselves. In 2005 Damian began developing curriculum for CATIA, a 3d CAD program from Dassault Systems used by Boeing and other large industries for building computer based models. This was a somewhat of a departure for him from his normal field of study in network architecture, but none the less, he�s applied the same principles of kinesthetic learning and technical detail to this new model, producing a robust fifty-plus hour CATIA basics course. This is also one of the few programs in the world that prepares students to pass the CATIA Part Design Specialist certification. After completion of the first course he has since gone on to complete three more advanced CATIA courses also at around fifty hours a piece, that look much further into the design process, teaching students not only how to simply build complex parts, but how to build intelligently. As this program expands, newer courses will continue to be added. In mid-2007 he began working with Boeing and Purdue University in the creation and delivery of a hybrid, blended learning certificate that incorporates concepts of Product Lifecycle Management (PLM), along with Catia, Enovia and Delmia. After his involvement with the project he has continued research in this area, building PLM into all his current manufacturing courses and with his unique expertise in Networking and Server systems he finds himself perfectly suited to handle the IT tasks related to ERP (Enterprise Resource Management) and other technology based organizational systems. During this project it was his pleasure to meet a couple of the individuals working with Dr. John Brandsford, Professor of Education and Psychology from the University of Washington. Their work and philosophy parallels Damian�s own feelings on the development and delivery of curriculum so having a chance to talk with them from time to time was an honor. As of 2009 Damian has began detailed work in additive manufacturing, otherwise known as Rapid Prototyping. Working with several other colleges across the country he is helping build communication within the industry through the creation and education of standards in the field. Recently Damian was named the Principal Investigator for the International Standards for Additive Manufacturing. Damian will be dedicating a great deal of time to AM (additive Manufacturing) as well as other higher tech manufacturing methods. After the move to our new location, Damian is hoping to find a strong market as a Service Bureau for RP models and as a partner in the Fab Lab. The Service Bureau will provide a service to the community by building RP models from customers 3d data. The Fab Lab is another business model created originally by MIT where inventors, craftsman, artist or any other may come to the school and use the manufacturing center for a fee. In 2009 the college made the decision to occupy a new facility that would best serve the needs of ourselves and the community. This is to be an aerospace training center of large proportion, teaching industry skills not found in many other locations. This will be located on Paine Field property in a building previously used for aerospace manufacturing. This has been viewed as the perfect solution for large scale industry training. From the beginning Damian has worked closely with the VP of the college as well as the airport staff in the communication of needs and issues between the organizations. His role has included the assessment of the building construction and design, defining the training options for the new location, working with local industry to help further focus the role of the center, and researching and purchasing the machinery and tooling needed for the aerospace manufacturing training programs. Somtime around 2007/2008 Damian built his first snowboard. After seeing that this was a doable project with great learning potential in composites as well as mechanical engineering, he created the Applied Composites course and it has since gone on to become wildly sucessful and has continued to run non-stop to this day. Engineering Exchange Program - Around 2008/2009 Damian was approached by the Future of Flight Aviation Center to work with a group engineering students from various locations in the world. The first group was from the Roayal Air Force Restoration Museum in London and Queensland University in Australia. This went very well and has been a continuing event ever since. Boeing became involved as well and this last year (2014) Damian worked with Boeing Australia directly to have students come up and make composite longboards; A fun new class to demonstrate the strengths of composites in aerospace. Small Business Technology Grant - Damian and Jennifer Shelton, the Director of the local SBDC (Small Business Development Center) went after and won a grant to develop curriculum that merged technology understanding with the challenges of starting a small business. This has since went on to be known as the "21 Century Business Plan" and is still taught to this day. Worker Retraining Grant - Damian submitted a proposal and won a grant to retrain displaced worker in the high-tech methods of modern manufacturing. This was co-taught with his new team member Jamie Schulz. Students were trained in CATIA 3d design, CNC milling, advanced composites, mold making, electronics and soldering. The end project was that students all made their own windmill from scratch; Designed in 3d, blade molds cut by CNC and used to press fiberglass blades for their mills. These were further wired into small DC motors to generate power. A very robust curriculum for sure. Future of Flight - Earth Day Event - Damian was asked to join an event demosrating alternate energy for kids at Future of Flight. This was perfect since we were just finishing up the worker retraining class with the windmills. Damian, Jamie and a few students set up a booth to show off their windmills and Damian developed an array of other methods of power generation not often seen such as piezoelectric and thermocouple. This was a great success. Damian has been working on developing an industrial automation course for several years but it seemd to cost prohibitive. in 2014, with the help of his new team member Dylan Goebel, they started working on the probelm from a different angle. Instead of large proprietary devices and control systems, why not just make your own. With the success of the Arduino microcontroller platform and the shear quantity of online material and open source content, the direction of this new course was solidified. This started with the development of Mechanical Automation Systems Engineering, where students learn the physical parts needed to get things to move and the electronics that drive them. The first course came out in the summer of 2014 and as of May 2015 we are on our sixth. So with the populatrity of this and the need to go further, we developed the Introduction to Robotic Automation course where students spend more time learning to wire and program their own devices. This is also running well and on it's fourth course since starting in late 2014. As the year progresses Damian plans to continue developing new manufacturing programs with a strong focus of innovation and high-tech solutions. 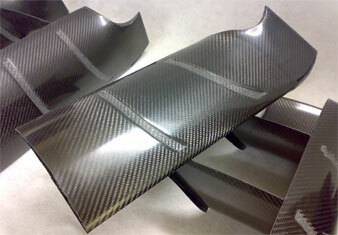 Currently in development are further high-tech manufacturing courses for the Applied Composites Series. He is working on incorporating the use of 3d scanners, Rapid Prototype Machines, and CNC milling into the program. Back on the data/networking front, he is continuing to build up the Cisco program by adding more VoIP programs, Microsoft Server basics, and soon a new hybrid entry level computing course that will bring students with no experience to a level that can get them into CCNA without having to take A+ and Network+ or similar. Aside from all his many other projects, Damian also works as a consultant for the Enso Company, a Data Center out of the Westin Building in Seattle. Currently his primary role is as a member of their advisory board and any network or systems support needed.